Here are the season average ratings of the new 2017-18 network TV shows — through the end of week 47 (Sunday, August 12, 2018). New ABC TV shows (so far): Alex Inc., The Bachelor Winter Games, Castaways, Child Support, The Crossing, Deception, For the People, The Good Doctor, Kevin (Probably) Saves the World, The Last Defense, Marvel’s Inhumans, The Mayor, The Proposal, Roseanne, Splitting Up Together, Station 19, Take Two, and Ten Days in the Valley. 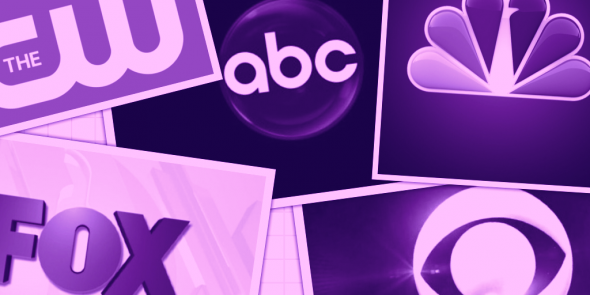 New CBS TV shows this season (so far): 9JKL, Big Brother: Celebrity Edition, Instinct, Living Biblically, Me Myself & I, Pink Collar Crimes, SEAL Team, SWAT, TKO: Total Knock Out, Undercover Boss: Celebrity Edition, Whistleblower, Wisdom of the Crowd, and Young Sheldon. New CW TV shows this season (so far): Black Lightning, Burden of Truth, Dynasty, Life Sentence, The Outpost, and Valor. New FOX TV shows this season (so far): 9-1-1, The Four: Battle for Stardom, Ghosted, The Gifted, Gordon Ramsay’s 24 Hours to Hell and Back, LA to Vegas, The Orville, Phenoms, The Resident, and Showtime at the Apollo. New NBC TV shows this season (so far): AP Bio, The Brave, Champions, Ellen’s Game of Games, Genius Junior, Good Girls, Law & Order True Crime, Making It, Reverie, Rise, and Will & Grace. Note: Though Will & Grace and Roseanne aren’t technically new shows, we’re treating them as such because they’ve been off the air for so many years.